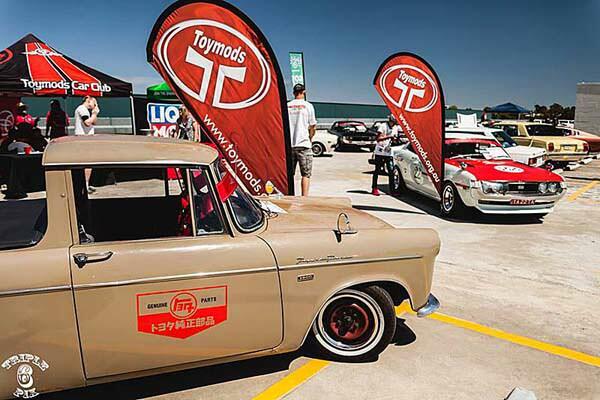 Toymods is still friendly, still socially focused and still loving Toyota’s of any vintage ! If you own or just appreciate Toyota’s then I urge you to meet the faces of the club and not just the usernames on the forum or our facebook pages. You will find those of us who leave our computers once in a while are a welcoming and social bunch. The Toymods Car Club – An actual Car Club and still way more than just a Forum in a digital age. Toymods has events that are on all through the year and most are family friendly. Keep a regular eye on the events section of our forum for the big ones or on our facebook page for all the upcoming fun. Facebook Page – the official Toymods Facebook Page. Facebook Group – the less official Social group for more general social discussion. The Junction, 2 Windsor Road NORTHMEAD. You will find us in the carpark in front of Repco. There is Hungry Jacks, Subway, Hogs Breath, and a small cafe for food options. You don’t have to be a financial member to attend our events or be a part of our forum but membership does have its benefits. Toymods membership is easy thanks to the online digital process that is available via our forums ! Toymods is home to ToyotaFest..!